The BVF Program is a 1 hour heart rate zone training workout split into 5 rooms, with upbeat music, motivating trainers and an inspiring member community. 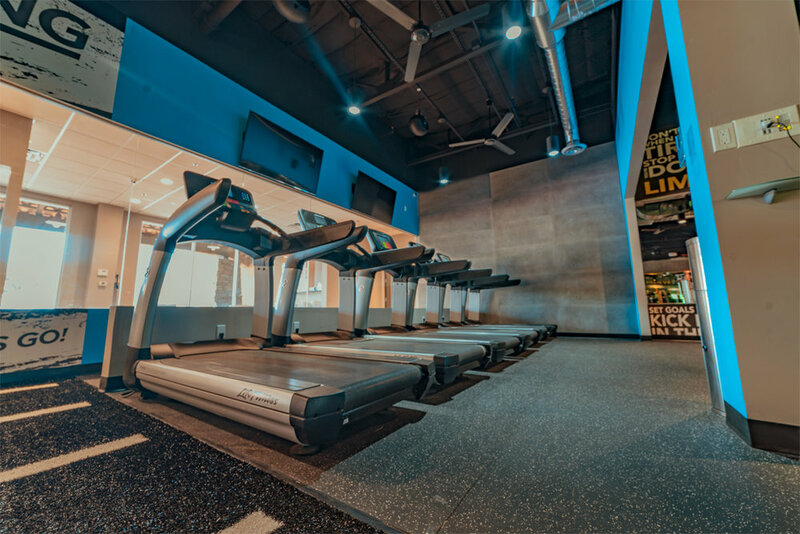 Each of the 5 rooms provides a unique sensory experience with state-of-the-art equipment and technologies to keep you motivated and engaged. 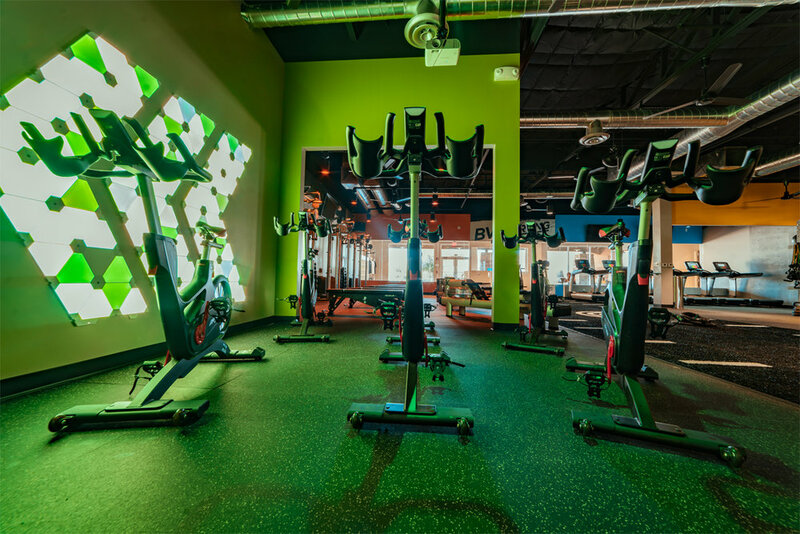 The Blue and Green rooms are geared toward cardiovascular fitness and the Orange and Yellow rooms are geared towards building lean muscle. Each time you visit, you’ll rotate through the 5 rooms once, twice, or even three times, with one minute of active rest to transition from room to room. With over 2,000 exercise videos in the BodyVision Fitness database, you will never plateau from the same circuit of exercises most Group Fitness concepts cycle you through. The BVF workouts and intervals are always ever-changing, creating unstoppable results while making it fun and addicting! Abandon the Average; Never Look Back. With Infection motivation and encouragement, our trainers will push and pull your intensity levels to keep you within your targeted heart rate zone. This so called "Sweet Spot" helps maximize your caloric burn during your workouts, and for several hours after you leave. 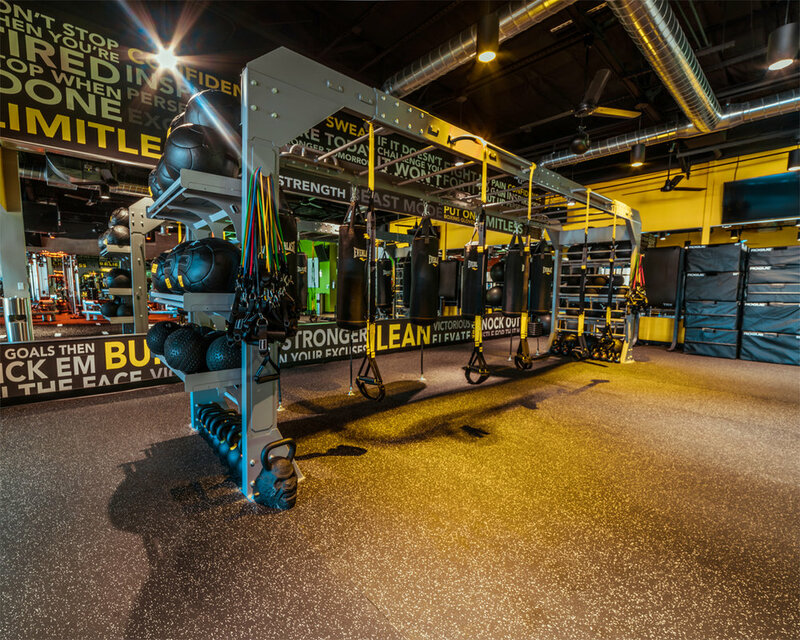 The ultimate strength training experience, featuring Dumbbells, Battle ropes, Cable machines, Stability balls and Bosu balls. Leverage gravity and your body weight to develop powerful strength with versatile Suspension training, Kettle-bells, Resistance Bands, Stability Balls, Med balls and Boxing. With Infection motivation and encouragement, our trainers will push and pull your intensity levels to keep you within your targeted heart rate zone. This so called "Burn Spot" helps maximize your caloric burn during your workouts, and for several hours after you leave. Music Videos: Enjoy chart topping music videos from the 80's to now. Interval Scenic Tours: Zone controlled interval scenic tours from around the world! From the France to Maui's road to Hana! Motivational Quotes: Stay motivated through your cardio interval workout with brain washing Inspirational quotes! Time lapse: Burn while being mesmerized with our time lapse videos of the worlds most beautiful destinations.